As United tried to make it three consecutive victories, Paddy Connolly returned at the expense of Christian Dailly who joined Jerren Nixon on the substitutes bench. When United triumphed at Ibrox in December, they did so on the back of a goal in 22 seconds. At Parkhead they would have bettered that time had Craig Brewster not been inches away from getting his head to a Scott Crabbe cross! 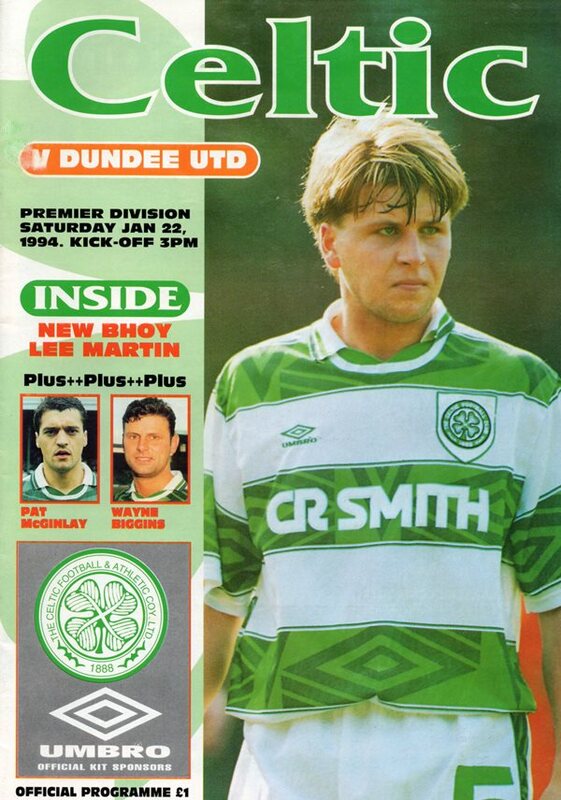 Indeed, United's start was far and away the more positive, though Celtic did gradually make their mark with Paul McStay hitting a well struck volley, but it went straight into Guido Van de Kamp's arms. Celtic's keeper Carl Muggleton was making his debut, but he'll want to forget how his poor kick out almost set up a chance for Jim Mclnally and how Scott Crabbe almost caught him out with a shot from almost 40 yards which he just managed to scramble round the post. Only McNally's intervention prevented Maurice Malpas from scoring from Craig Brewster's headed knock down. 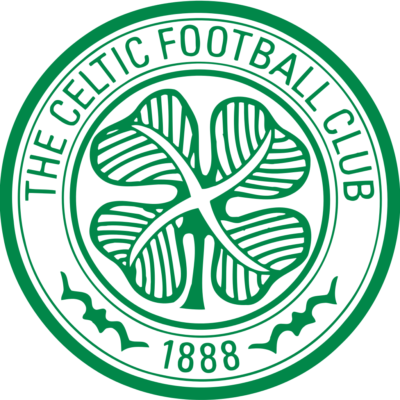 United edged the first half, but Celtic were first to threaten in the second period when a misplaced header was fisted away by Guido van de Kamp from right under the bar. Muggteton was lucky not to escape punishment when he dashed from his area and appeared to use an arm as he combined with a defender to halt the United striker's run. At the other end, Guido Van de Kamp came a long way off his line to cut out a cross, but couldn't hold it and fortunately Charlie Nicholas flicked the ball over the bar when the ball was returned inside the box. With a little over quarter of an hour to go Celtic almost broke the deadlock. Collins moved on to a pass down the left and whipped in a cross to McGinlay, who had been in an offside position when the ball was originally played forward to Collins, and the former Hibs midfielder's header hit the inside of the post and ran along the line before being scrambled to safety. United's response was to bring on Christian Dailly for Scott Crabbe who had done a power of work and during the last ten minutes United might quite easily have sealed a victory. First Paddy Connolly showed McNally a clean pair of heels and weaved his way past Gillespie but Muggleton blocked his shot. With three minutes left Muggleton saved Christian Dailly's downward header from a Jim Mclnally cross and right at the death Jerren Nixon was denied by McNally after Muggleton had saved a Craig Brewster shot. So as you can tell this was far from a dreary goalless draw and the result in the end just about right.